With so much happening in our region, we are delighted that John Irving, CEO of Liverpool John Lennon Airport, has agreed to give his expertise and insight into the key issues such as Brexit, jobs, economy, skills and supply chain opportunities. Gain valuable insight into the airport’s future plans and how they may impact on the region, employment, skills, our businesses and of course all of us as holiday makers, not to mention the potential impact of the Brexit negotiations. John will give a business update on Liverpool John Lennon Airport highlighting the key role the Airport plays across the City Region and beyond. Also with Brexit less than a month away, John will share his thoughts on the current situation, what leaving the EU may mean in practical terms and it’s impact on the wider aviation industry. We're also joined by FX who are giving us their expert insight into foreign currency exchange rates, which is of importance to businesses and individuals as we learn what businesses can do to help secure margins and limit the risk of international trade in unpredictable, volatile markets. John was appointed as Chief Executive of Liverpool John Lennon Airport on 12th March 2018. Prior to joining the Airport John held the role of Chief Commercial Officer at Newcastle Airport for three years overseeing the relationships with all key commercial and airline partners and driving the growth strategy for the airport. John is a qualified accountant and spent 8 years as Finance Director of Newcastle United Football Club where he had responsibilities for Finance, Commercial and Operation. 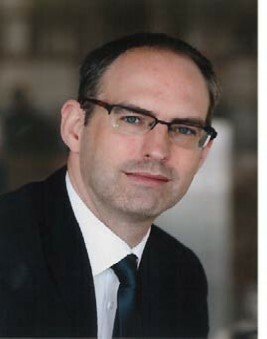 John led a turnaround program to deliver a strong and sustainable business model at the football club during his time at the club.John previously worked for Procter & Gamble across many financial and project management roles over a 9 year period after graduating from Loughborough University. Members’ Rate for this event is £5.50, non member rate £10.00. Please log in to the members area prior to booking to receive your Member Discount. The Delegate list is emailed out the week before the meeting, so you can target your networking more effectively. You are can just turn up on the day and you will be made very welcome, however, this will incur a £3.50 surcharge. We look forward to sharing breakfast with you, bright and early, on the 5th March.